A group of members of the Society, led by Chair Mary Thompson, visited the village of Ewelme on Sunday 5th July. Below is Mary's report on the visit, with photographs courtesy of Clare Simpson and Mary Thompson. A group from the History Society visited the medieval complex at Ewelme which consists of the church, almshouses and school. 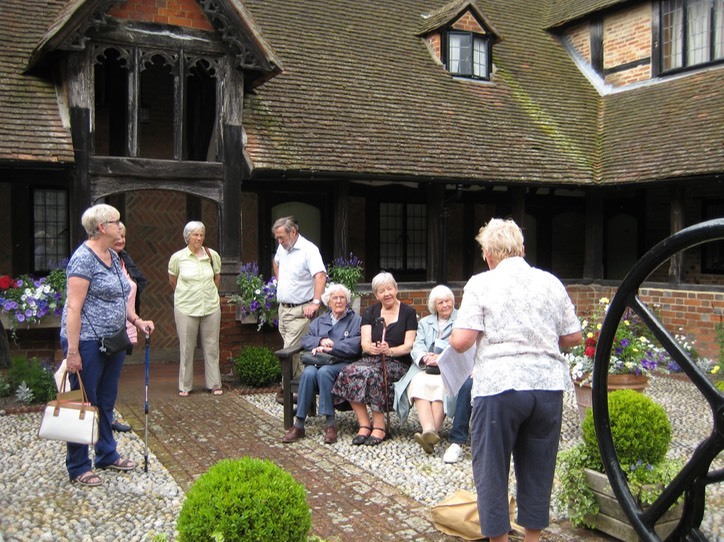 The village is steeped in history and our guide, Carol Sawbridge (on right, facing group), gave us a very detailed account of the history of the buildings and the notable people associated with them and the village. 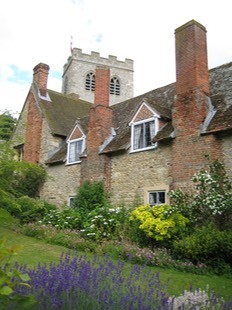 Ewelme was a favourite haunt of Henry II and Henry VIII and visited by Elizabeth I. It was Alice, the Duchess of Suffolk and granddaughter of Chaucer, who inherited the manor. 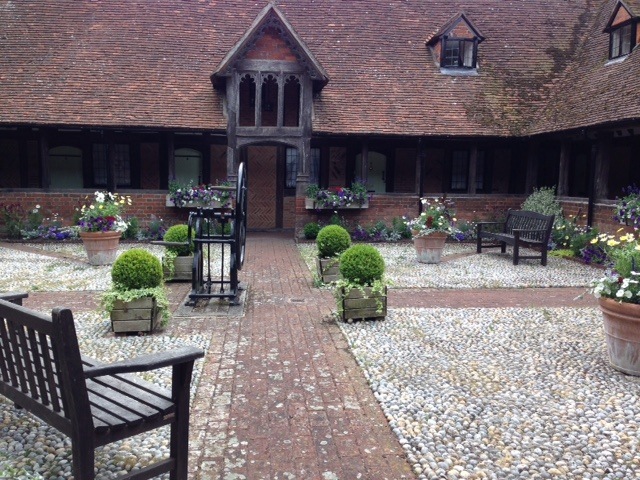 Through their wealth she and the Duke established the almshouses and school and reordered the church in 1437. 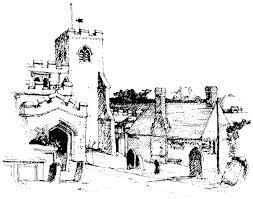 The Church of St Mary the Virgin is said to have changed little over the past 600 years, the chapel with Alice’s effigy being the most elaborate. Jerome K. Jerome is buried in the churchyard. The almshouses were built for 13 poor and pious men around a courtyard. 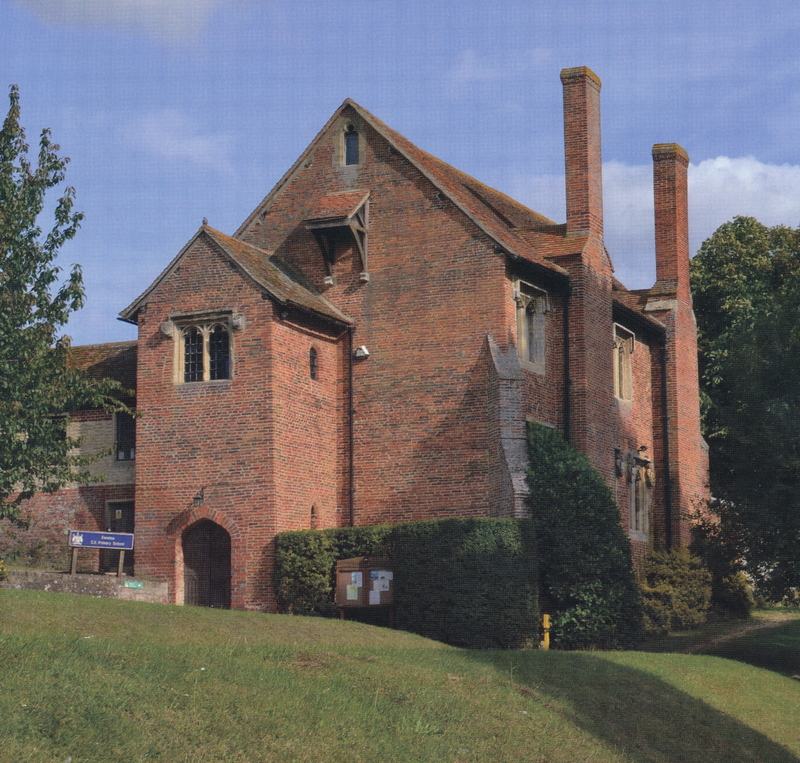 The men had to obey strict rules and were obliged to pray daily in the chapel erected in memory of the Suffolks. The area is beautifully kept with a fine display of flowers, but it is only comparatively recently that a woman was allowed to take up residence. Our visit concluded with a visit to the school which was open for the afternoon to provide tea. Originally built as a grammar school, the school is believed to be the oldest in the country to have been in continuous use. It retains its outward medieval appearance, but has been modernized inside whilst keeping some of its early features. The school and master’s house were linked to the almshouses and the church. 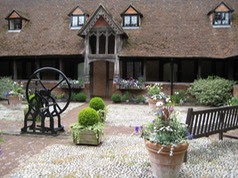 The school thrives today in its attractive setting nestling among the other medieval buildings. There was no charge for the visit, but the Society made a donation to the church.